What actually toady’s business demand for success? Business intelligence tools and data analytics that could help them in the business evaluation and finalize the strategic decisions. Therefore SDS cloud business is the best solution of today’s business problems having a lot of business benefits. SDS Cloud business is basically a merger of two latest technologies named as cloud computing and ERP. SDS cloud business is fully focused on cost reduction and streamlining the complete process of business strategies including improved customer services. 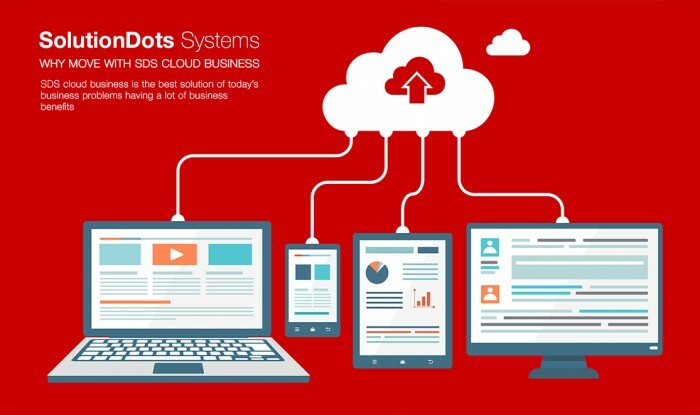 Today we’ve listed top 10 benefits of SDS cloud business. SDS Cloud Business would be considered as an ideal solution with the increasing business growth and demand. It is flexible enough to compensate for the increasing demand of your business. The flexibility of SDS cloud business is dependent on your business growth circumstances it helps in the management of capacity and modification of storage level according to the business demand. For instance is your business is growing and you found the instant need of increasing storage capacity to prevent your data loss SDS business cloud will be increased according to your business demand. At the same time if your business sales are coming down and your business step is coming towards the reduction SDS business cloud shrink down accordingly. Business agility is an important thing to reduce business complexity and SDS could business is driving your business towards it. In today’s world business agility has enhanced the customer satisfaction with the quick responsive platform. It is helping in reducing the project delivery time and enhance your company’s efforts in the competitive level. Business agility has no doubt removed the business the unusual gaps between the business and clients and has streamlined the process of communication with result oriented solutions. SDS cloud business has enhanced the teamwork, it allows the team members to meet virtually and share their plans and achievements. There is no need to wait for the physical presence of all team members to conduct some meetings of sharing the project progress. SDS cloud business is allowing the groups or team members to share the information in real time environment. It has improved the product development as well as product marketing. Cloud business has complete understand the importance of team collaboration and kept a complete focus on such things. SDS cloud business is a cost effective approach that could reduce your business cost but increase its growth. There is no need to buy new equipment to build up or operate a data center for your business. Normally businesses spend a lot in purchasing new hardware and utilities as well as develop a complete environment for operating and attaining the best results. You’ll also spend to the experts to operate the system but SDS cloud business is making things easy and efficient with cost effective manners. SDS cloud business is reliable enough to be available for you 24/7. As long as you’ve internet connection you’ll be able to get access to your business data. SDS cloud business is providing the excellent services it is with the reliable approach of business that ensures your business success and availability. If you’re facing some kind of difficulties you’re be allowed to contact 24/7 for best solutions of your problems. Sometimes the team head or the business owner is not in the office but there is a strong need to get their recommendation to some sales reports. Some of the employees are enjoying their day off but need to get an urgent review of report summaries. Now the approach of requesting them to visit office is not suitable enough for them or the business too. SDS cloud business is providing the solution, you all your authorized employees could access the system without the restriction of place or system. They just need to approach the internet and can access with their access credentials from the system, tablet or their phones. SDS cloud business ensures and improves the complete security of your organizational data. It has removed the anxiety or data loss on hardware failure. SDS cloud business has fully backed up your data and also keep it secure from unauthorized access with the help of security measures. A business always requires streamlining working process including the infrastructure, data management, data update, report generation and data backup. SDS cloud business comprehensively understands these requirements and their priorities. It has streamlined the work according to business requirements and allow the business to keep their focus on other business priorities. Updated latest software is a key requirement of every business but usually, there is an anxiety to loss of important data, slow down the complete network and manual software updates. SDS cloud business automatically updates the system regularly without any loss of data and time. We’re offering the latest and updated technologies to our client for the enhancement of their business growth. SDS cloud business is a considered as a game changer approach to your business. If your data, vendor and clients are efficiently managed to be a business owner you’ll search new challenges. You’ll be able to approach your competitor’s market value and their business approach because you’re fully satisfied with your business and looking for the areas to expand. You’re providing customer satisfactory services, therefore, your market value is grooming now you’ll be able to look forward to the competitive channel. These are the few benefits of SDS cloud business to answer the question should business move on towards it with technology or not? If you still want to explore its worth you may contact us anytime for your queries. There is no doubt that SDS cloud business is a game changer business solution.